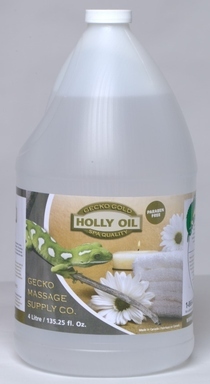 Gecko Massage Supply Co is one of the largest natural and holistic Massage Products manufacturer and massage supplies , Spa Supplies professional based in Canada. Since 1997, our products have been used by 100’s of distributors all around the world with over two lacs liters of massage products have been already sold.Our products have been trusted by Massage Therapists, Spas, Chiropractors, Physiotherapists, Body workers, Athletic Therapists, Salons, Clinics Massage Colleges and many more. We are also online specialists providing the best range of established and trusted massage oils, gel, creams &amp; lotions.Everything you need for your professional massage therapy and wellness store. Gecko Massage Products are Canada’s most trusted and best designed products. They are exceptionally well tailored to our customer’s goal. Buying at Gecko Massage is easy. We have 30 distributors throughout Canada who have found selling Gecko products easy and profitable. From Spas to Clinics to Retail stores, no distributor is too small.If you are looking to expand your product line or increase your clinics income we have a distributorship for you that will work. Having a quality, trusted product is incredibly important to your practice. We pride ourselves in making low cost, high performance products with safe ingredients that are hypo-allergenic, non scented, scent neutralizer free and breakdown in water. Our products are used by all Massage Colleges in Canada and Mexico. We are proud to say that our products are included in their curriculum. Purchase our products online or click here to fill up a contact form and we will get back to you shortly.Best College support guaranteed. Our customers include Massage Therapists,Physiotherapists, Body workers, Athletic Therapists, Salons, Clinics and the nurturer in your life that wants to use the best products available. We can deliver anywhere, anytime and refund if for any reason our products don’t meet your standards. Massage Distributors , Massage Therapists, Spas, and all those who are looking to make bulk orders, for Massage Lotions, Massage Gels, Massage Oils, in different sizes and bottles can fill up the contact form and get the best prices. Services we provide, makes us stand apart. Using the latest technology,We use safe, proven ingredients to manufacture all our Gecko Massage Products. 20+ years of Manufacturing Experience. Over 30 Distributors and Bodywork Colleges in Canada that honour us by selling and using our products. We sell from a 2 liter bottle all the way up to a 1200 liter tote. Our customers include Massage Therapists, Chiropractors, Physiotherapists, Body workers, Athletic Therapists, Salons, Clinics and the nurturer in your life that wants to use the best products available. We provide our customers, friends and colleagues legendry products and services. Come see why professionals of all modalities have come to believe in us. With a customer happiness guarantee on all our products you will always have a positive experience with Gecko Massage Products. Are you looking for bulk orders? We have best prices available for our Distributors and Bulk orders. Our quality products are included in the Curriculum of many colleges. Apply for our College Supply Program and get products at lowest prices. Being a Massage Therapist with sensitive skin, I have tried many different types of massage lotions, oils and gels. It was a great day when I found Gecko Massage Supply’s Lotion. Now I can treat my clients with a great product and keep my skin happy too! Their friendly, efficient service is one reason I keep purchasing Gecko Massage Supply’s products. Another is their products, I’ve looked all over and tried many different kinds of Massage Gel and I find that Gecko’s is the best…it’s got great movement, it isn’t really oily and easily washes out of my linens. Lastly, their prices are fantastic too! 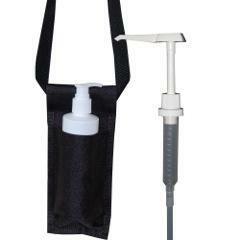 I love Gecko Massage Supply’s products I’ve been a customer theirs for years. I also love that they are still working on creating and bringing in new exciting products. A year or so ago they brought in the GreenLife Laundry Detergent with promises of over 200 loads per bottle. I was hesitant to try it, but after speaking with the owner, Shannon directly about the benefits our clinic would see from using it I gave it a go and was pleasantly surprised! We’ll never switch back to regular laundry detergent. I’ve known Shannon Carlin, owner of Gecko Massage Supply since we were students together at Wellington College of Remedial Massage. I got to know him as a good spirited, kind, reliable guy…which has translated into his company. I know that I can call him up and he will do his utmost to ensure my massage supply needs are taken care of in a quick and efficient manner. The glide of Gecko Massage Supply’s Lotion is incredible with little need for reapplication which means more hands on massage time for me to treat my clients, they love it! 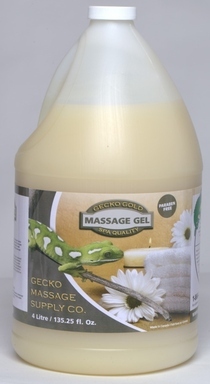 We bought our first bottle of Gecko Massage product back in 1999 and have been very pleased with the products and service Gecko Massage Supply has provided us throughout the years. We’ve been a customer of Gecko for nearly 10 years. 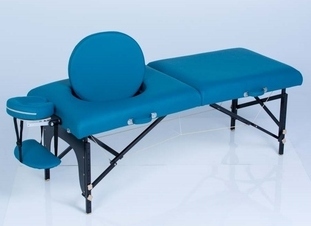 As a busy clinic with 14 therapists the value is far superior to any other product we’ve ever tried. They have fantastic products at reasonable prices…What more could you ask for!!! 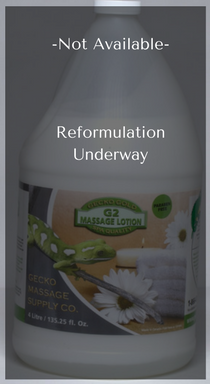 Gecko Massage Supply Co is one of the largest natural and holistic Massage Products manufacturer and massage supplies , Spa Supplies professional based in Canada. Since 1997, our products have been used by 100's of distributors all around the world with over two lacs liters of massage products have been already sold.Our products have been trusted by Massage Therapists, Spas, Chiropractors, Physiotherapists, Body workers, Athletic Therapists, Salons, Clinics Massage Colleges and many more. We are also online specialists providing the best range of established and trusted massage oils, gel, creams &amp; lotions.Everything you need for your professional massage therapy and wellness store. Gecko Massage Products are Canada's most trusted and best designed products. They are exceptionally well tailored to our customer’s goal. Buying at Gecko Massage is easy. Why Full Body Massage is essential? What should be used for massage?